My shopping isn't always just about using coupons to save money. It's also about getting what I want. I'm a customer, and there are things that I expect to have when I grocery shop. that's is where County Market excels. This past week I was shopping in another town's County Market. It was not my usual weekly shopping trip to "My" Store. Yet the service was excellent. It made my shopping much more enjoyable. We have become hooked on pretzel buns in my house. The bakery stocks them but I noticed that it's kind of hit and miss to see them on the bakery shelves. I really wanted them! So I asked the bakery lady if she had any more. guess what? She did. As she was getting a 4 pack of my personal pretzel buns ready she told me that they were having trouble keeping the shelves stocked. Apparently my addiction was not the only one. 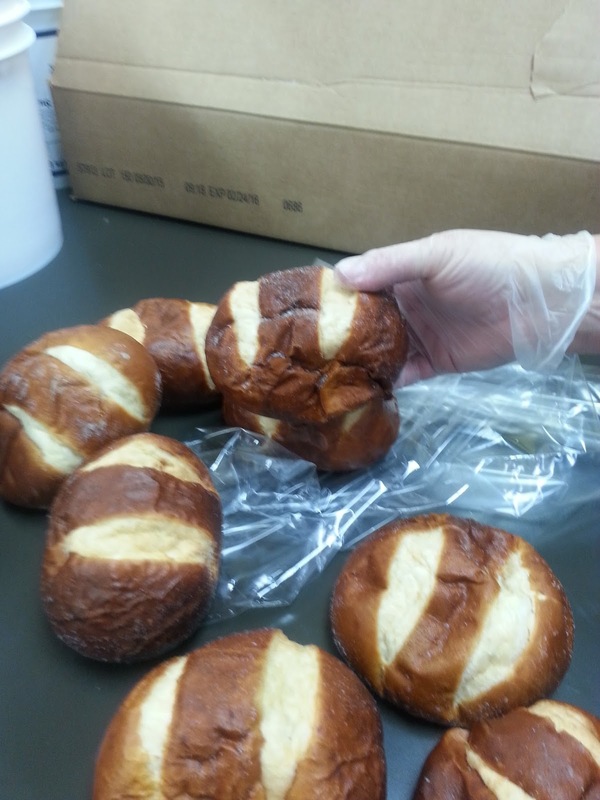 Pretzel buns are quite popular. Here is where the superior customer service kicks in, she welcomed me to always get a fresh batch of pretzel buns from her. That's the difference, she could have said, "there are no buns ready" or "Come back tomorrow." Part of good service is always a two way street. As I was in the check out lane, the customer behind me happened to say, "I was looking for those buns, where did you find them?" It always starts with a question. If you do not see an item you want, we do need to ask. In this case, the cashier managed to get another employee to run back to the bakery to get a set for the man behind me in line. Two cases of exceptional customer service over pretzel buns. Saving money is always a priority, but the exceptional customer service makes the overall shopping experience very pleasant!